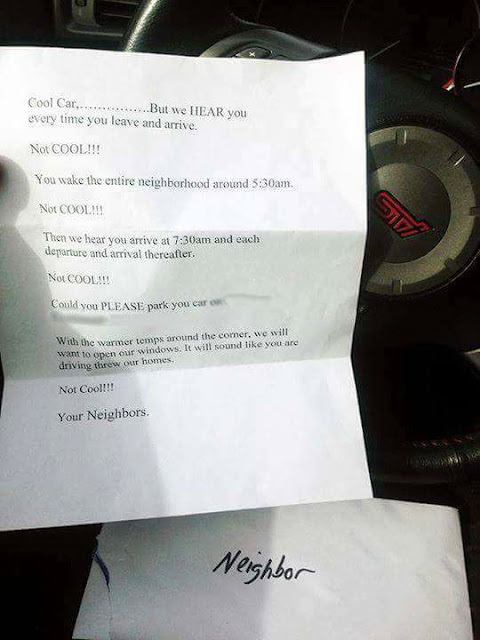 Have any of our Classic Car followers ever received a letter like this from a neighbor? Fair? What if it wasn't about a Classic, simply a modern muscle car with factory exhaust? Fair? Or an econo-import with a "fart can"? Fair? Anyone recognize the center emblem on the steering wheel? Tell us your thoughts in the comment section below! Remember, Preserving Automotive History...One Car At a Time® is not just a slogan. It's what we do. Select this link to learn more.